As we are all approaching international clean up day once again it is appropriate to mention some advantages we tec divers have for underwater clean ups. 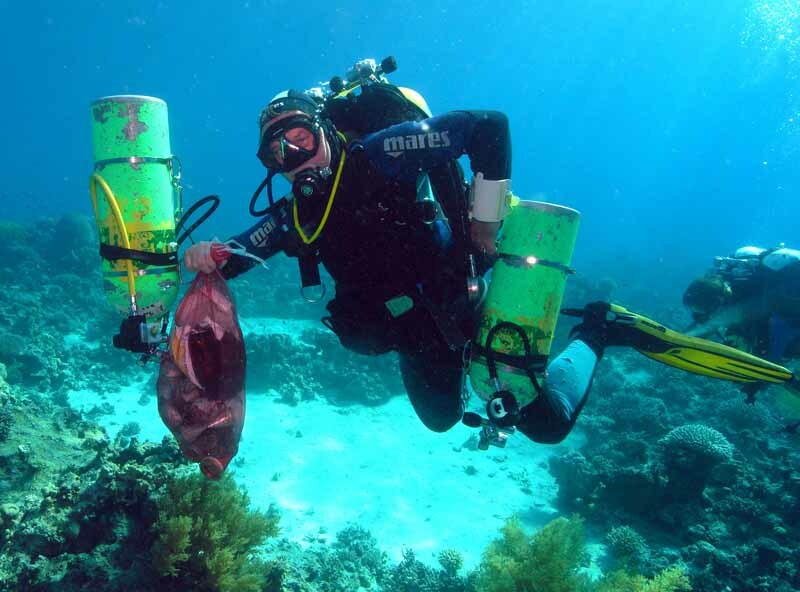 Of course clean up dives should be conducted all year around when ever needed the April and September initiatives serve as publicity events to educate the public, other beach and water users and give diving a good image. One way technical divers can help is using the extended range of their equipment to conduct a more thorough clean up than only single tanks allow. For example using a twin set with a nitrox mix appropriate for the depth…this is great for getting lots of trash from the 20-40m range. For those trained in the use of CCRs the decompression advantage is obvious…but don’t get carried away and forget to watch you ppO2. The Dolphin Semi Closed Rebreather is also a great tool for extended dives in recreational limits. Then of course, just like the old Heineken ads, tec divers can reach the parts other divers cannot reach. There is nothing worse than taking a couple of technical divers on a deep tec training dive only to find the bottom covered with trash! 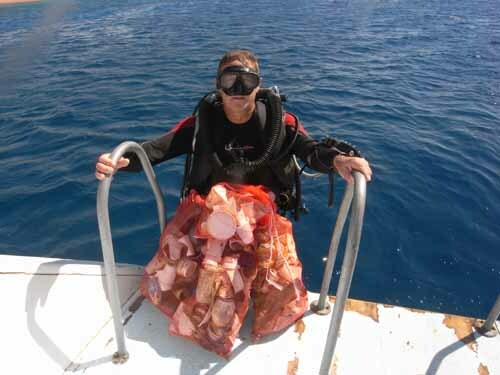 This can happen even in well kept clean resort areas where recreational depths are regularly cleaned by PADI professionals. So on later course dives, cleaning up in deeper areas can be a mission. Be sure to remind tec students and divers not to try to accomplish too much on one dive. Its amazing what can be achieved with just a little cleaning on each dive. I have found that tec students and qualified tec divers actually enjoy being able to give something back for all the enjoyment diving has given them over the years. Another thing about this whole idea is that it gives Tec Divers and CCR divers a good image also with other divers as well as the general public and authorities, especially in areas where tec diving is in a very small niche. One more thing whether on OC or CCR when topography allows decompression over a shallow area then what better way than to pass those minutes away…. Thanks Jason, am planning to visit Dubai next year with some friends.